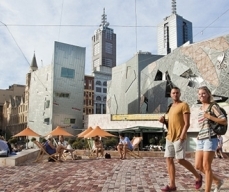 Unique Best of Melbourne tour is a showcase of Melbourne's charm. Enjoy a gourmet boxed lunch as you cruise the Yarra River taking in the sights of the city from a different perspective. Our coach tour will then show you a side of Melbourne that will give you a better insight into our way of life visiting the Botanic Gardens, Acland Street in St Kilda and Brighton Beach bathing boxes. Complete your day with an unforgettable experience of dining in a 1927 Colonial Tramcar Restaurant where a sumptuous three course dinner with beverages is served.